If you run a website, surely you have heard the term GDPR. The term GDPR stands for General Data Protection Regulation which is used for data protection and privacy purpose of your website. 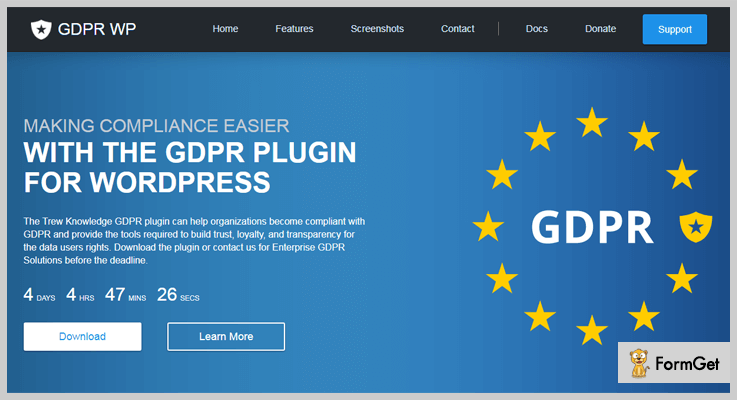 In this blog, we have rounded up 6 best WordPress GDPR plugins both free and paid which are crafted to give control protection over personal data. With the help of these plugins, you can create a page where the user can request access to their personal data which is stored on your website. With this plugin, the process a data accessing becomes easy, various types of protections can be applied to secure information and more. This WordPress tool comes with various add-ons features that collect user data and allow the user to view, update, and download their personal data anytime from your website. 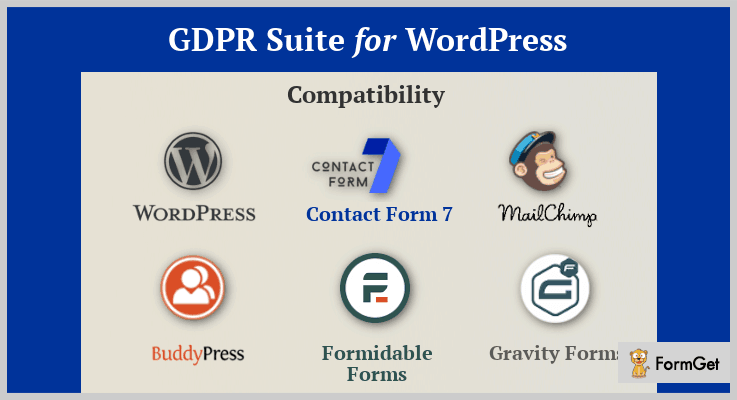 So, without any delay let’s figure out which GDPR WordPress plugins will work best for you. But before that, we’ve also curated some another blog for you. 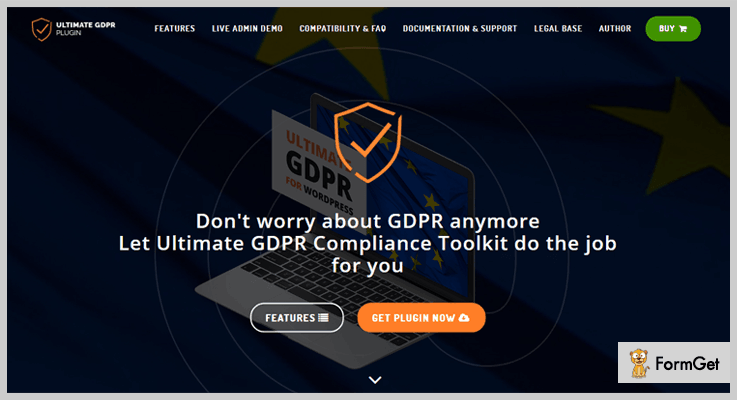 This plugin is widely used in the web world as it provides the most comprehensive set of tools that will help you to make your website GDPR compliant. You can simply insert this plugin into your website and make your site compatible with WooCommerce and integrate email service providers like MailChimp, Contact Form7 etc. The plugin is also compatible with BuddyPress to give your website more social experience. Use this power-packed WordPress plugin at $19 and gives you access to tons of features and functionalities. You also get the option to restrict the access of user if they have not accepts the site’s terms & conditions. The plugin will work for both logged in members and for a new visitors. You can customize your website from its fronted dashboard at any time. Site admin can send emails to their users in the case of Data Breach. Ultimate GDPR is the most reliable and popular WordPress plugin which protects your personal identification and other essential details. It works as a data protection toolkit which protects all your website’s data, provides security and many more. This plugin is completely WPML compatible which gives your customer a user-friendly experience on your website. Also, the plugin is integrated with BuddyPress that allows you to add online profiles, private message functionalities and much more to your website. You can purchase this plugin at $19 and get unlimited features, lifetime updates for free and 6-months support. It allows the user to access their personal data anytime from your website in a protected way. Integrated with Google analytics plugin to tracks and reports website traffic. You can display cookies consent box in the top panel of your website. Provides free auto-update for your website for a lifetime. 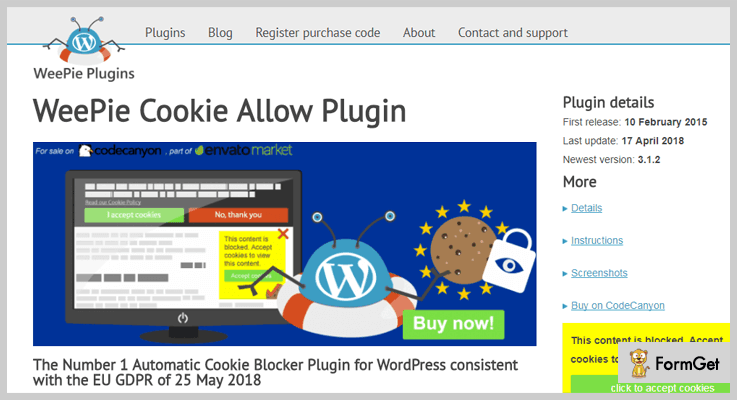 WeePie Cookie Allow plugin is a free WordPress tool which will help you make a website GDPR compliant. With this plugin, you can easily integrate your website with the cookie law which is a piece of privacy legislation that requires to get consent from visitors to store or retrieve any information. Purchase this most effective WordPress plugin which can be downloaded free of cost from wordpress.org. The plugin is easy to configure. You can compose your consent setting, edit elements like texts, colors etc from your website. It provides various styling options like texts, colors, position, and sizes etc. The plugin offers automatic clear cookies facility from your website i.e. third-party cookies, Facebook cookies etc can be cleaned. WeePie Cookie Allow is a multi-site ready and 100% multilingual WordPress plugin. 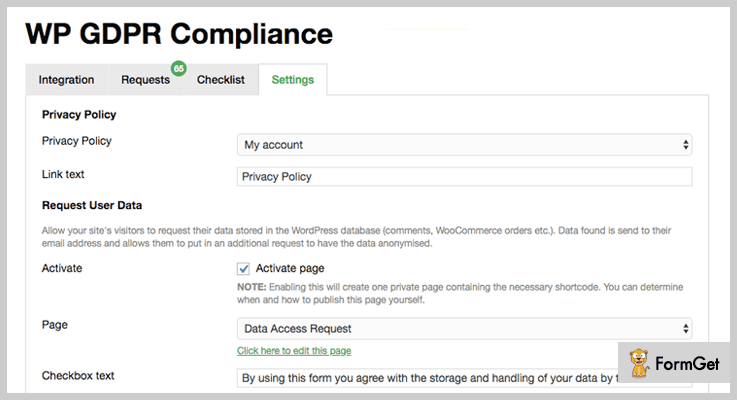 GDPR WordPress plugin is simple, yet effective WordPress tool which is used to assist a controller, data protection officers to meet all security issues. This plugin provides consent management which allows the user to opt in or out of cookies that are being used on the site. It provides various privacy management for cookies like front-end preference UI & banner notifications. You can download this WordPress plugin @ free of cost from wordpress.org website. Provides an option for data processor settings and publishing of contact information of the users. Users can easily access the data through admin dashboard. It provides telemetry tracker for visualizing plugins and website data. The plugin is commonly used in websites all over the world. It helps you to protect your user’s data and their records on your website. You can simply insert the plugin into your website and start taking its advantages of it. This plugin comes at no price. Download it from wordpress.org and use for a lifetime. It supports various email marketing service providers like Contact Form 7, MailChimp etc. Completely multilingual and is also fully responsive. You can customize your website’s designs and apply various stylings. All-in-one GDPR is the complete solution which provides your website GPDPR compliant. This easy-to-use WordPress plugin has all the functionality that you need to demonstrate on your website with privacy & protection. The plugin provides various privacy setting that safely allows users to disable 3rd party services and APIs. These settings will display on all pages of your website by using [privacy_settings_form] and many more. The GDPR Privacy Center has an easy to use dashboard for handling all of your customer’s data protection inquiries. From this page, your users can submit subject access requests, contact your designated DPO and set their privacy settings. You can get this WordPress plugin at $68 with free updates and various other functionalities with 6 months support. It provides access to the users and automatically builds an HTML file and a PDF file. The plugin has simple to use dashboard for handling all your customer’s data protection inquiries. With it’s easy to use dashboard, a user can easily submit data request access, view privacy setting and more. All-in-one GDPR offers only one-click instant setup. 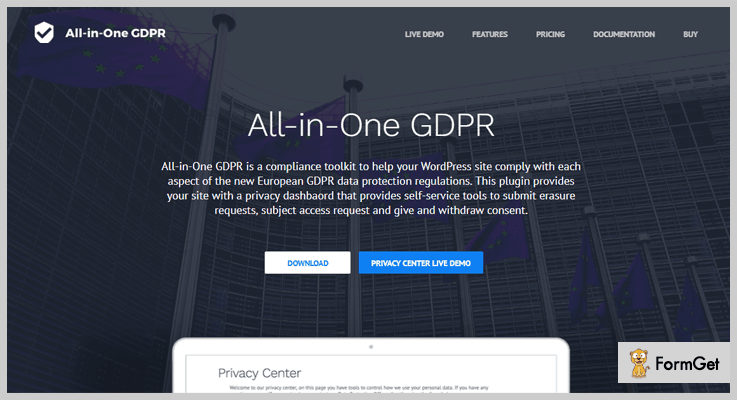 Now, this was all about the WordPress GDPR plugins which we have specifically selected for you. All these tools are fully customizable, user-friendly and multilingual. We hope that this blog will definitely help you to fetch the best plugin for your website. Furthermore, if you have any suggestion for the GDPR plugins then let us know via the comment section below. We would love to take that list in our later posts or updates.